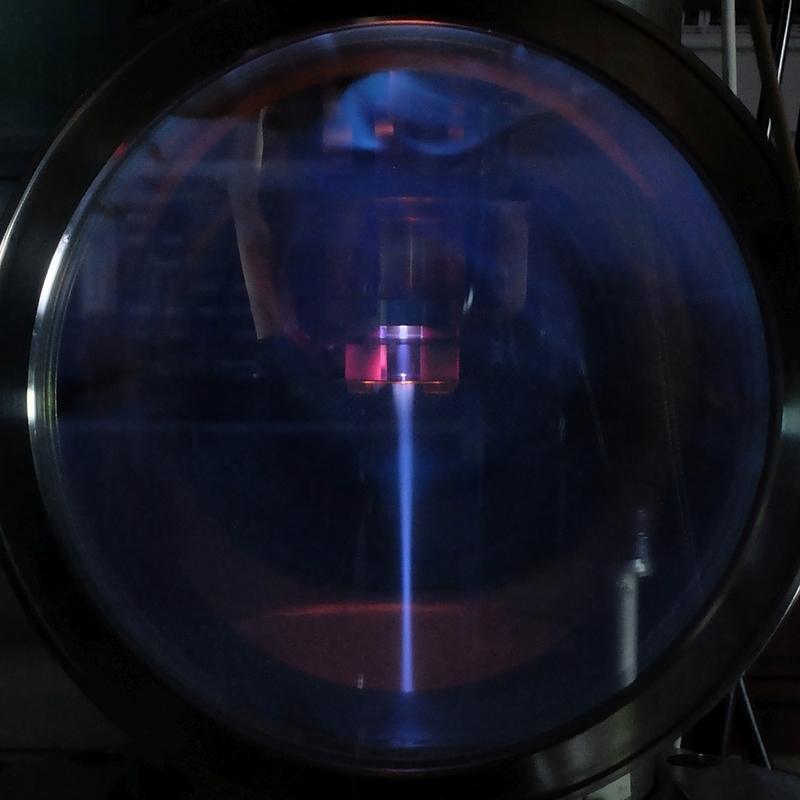 We see our ECR plasma cavities as little building blocks that can serve as individual plasma sources, ion sources, electron sources, or atom sources, but that can also be grouped together to create plasma sheets or ion beams of basically any size and shape. Whether you need a beam to be small or large, and linear, circular, or more exotic, we have a technology capable of generating the beam or beams of your choice. We look forward to helping you realize your project and expanding our portfolio. 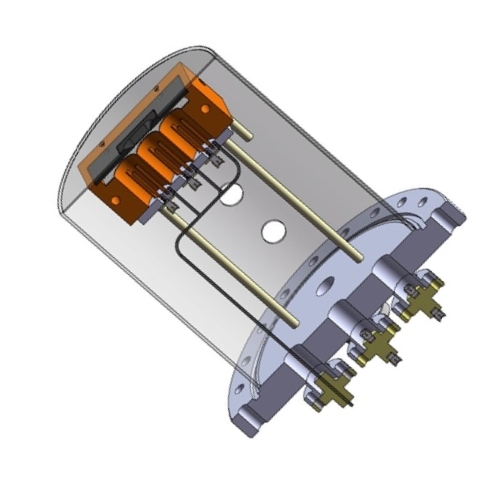 Our ECR plasma cavities can be configured to operate as ion source, electron source, plasma source, or atom source. 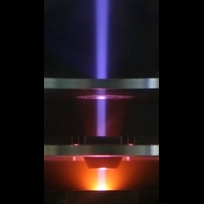 This is a matter of adapting the extraction optics, changing the bias, and/or in the case of an atom source, adding deflectors to capture the charged particles. 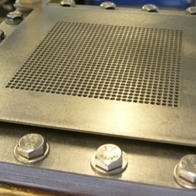 The extraction can be by grids or by aperture electrodes. 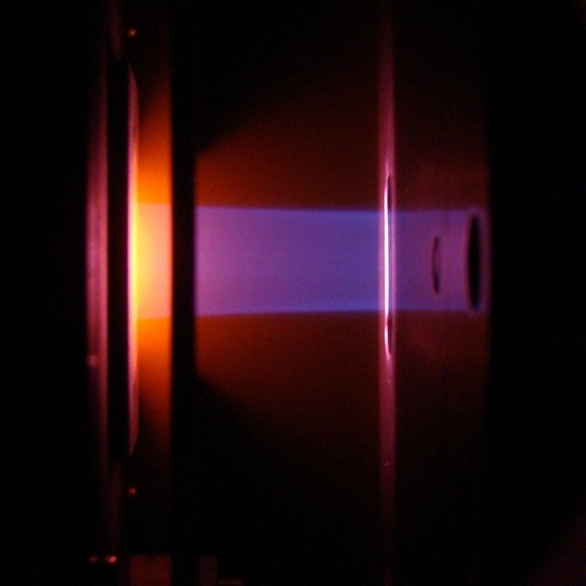 The pressure inside the plasma cavity must be large enough to maintain the plasma and is elevated with respect to the chamber pressure. The chamber pressure during source operation will depend on the system: base pressure and pumping capacity, and the source parameters: the gas inlet and the size of the extraction hole(s). 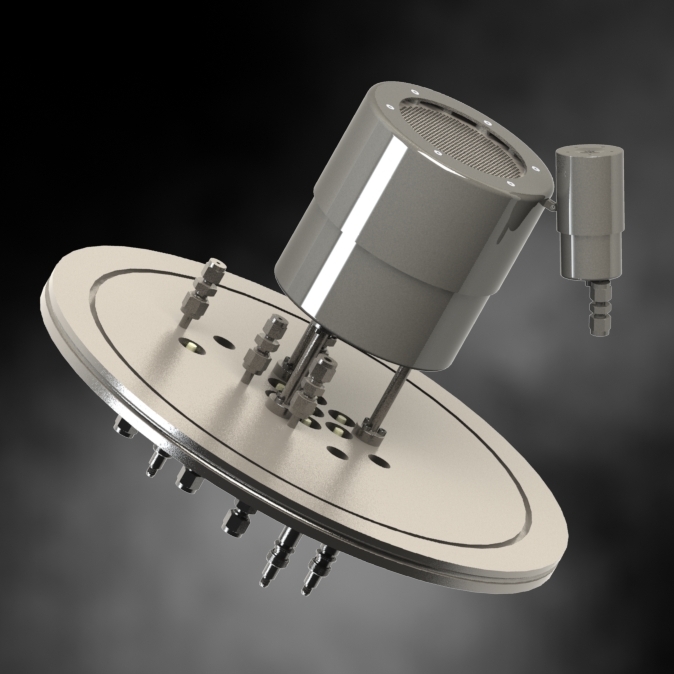 For single cavity sources the minimum flange size has an inner tube diameter of 35mm and the source head can be supported by the flange, or mounted anywhere you want inside your system with only flexible cables to the flange. 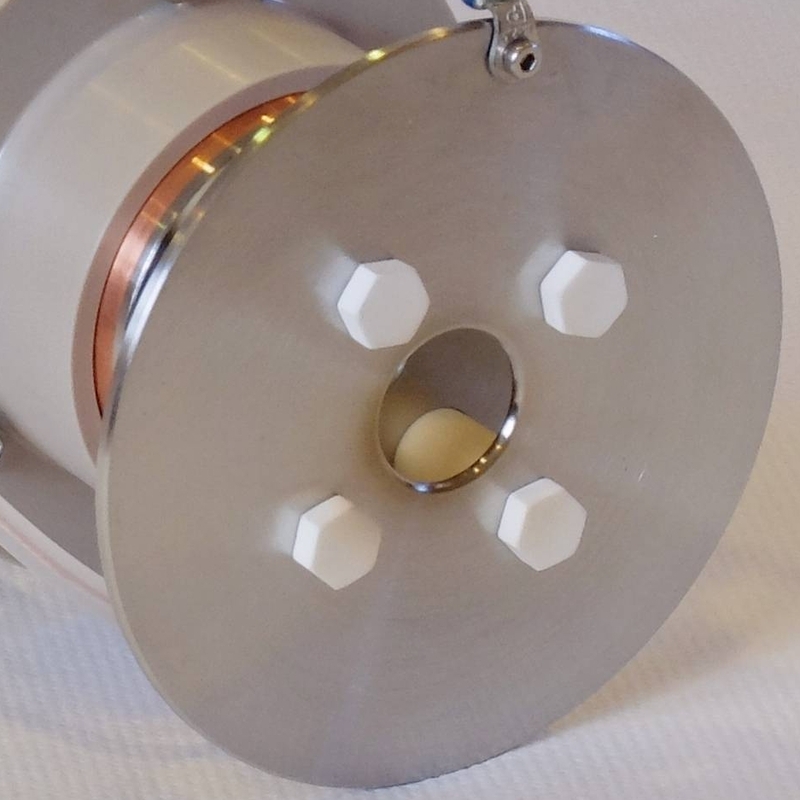 Both High Vacuum as well as Ultra High Vacuum (UHV) compatible sources are possible. 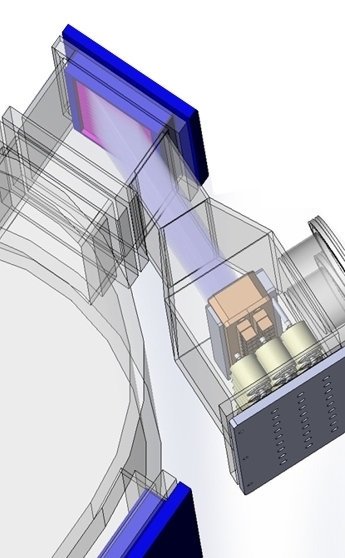 TES sources are based on our smallest cavity, and can be configured for different beam types and shapes. Take look at our larger IE-gun if you are interested in high energy applications, or contact us for other possibilities. 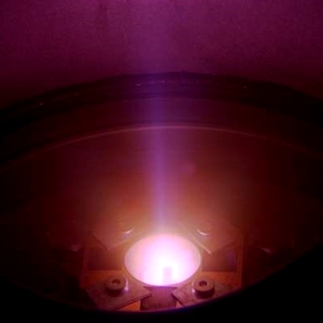 By grouping multiple of our ECR plasma cavities together, we can make beams of basically any size, and also beams with a shape other than circular, like linear or rectangular. Unique for such multi cavity solutions is that the internal current distribution of the beam can be controlled. This is because each cavity has its own power supply for the microwave. 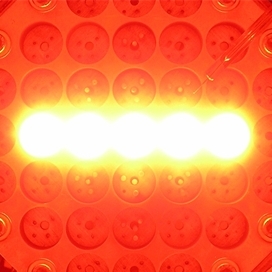 Such large beams are typically used for ion assisted deposition, sputter cleaning, nanostructuring and ion implantation at industrial scale. 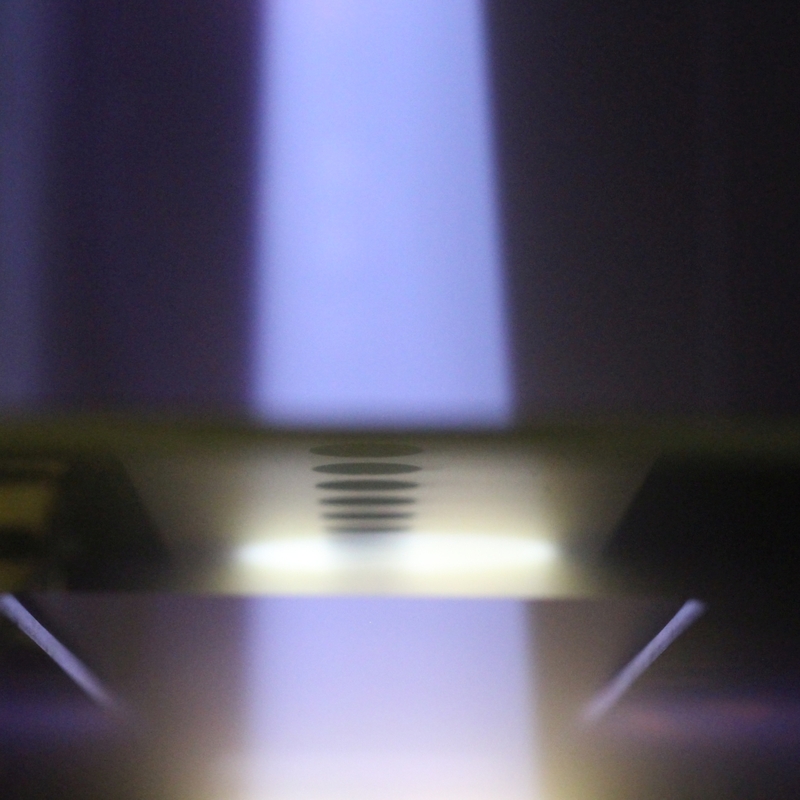 Beams based on twenty cavities are already reality (industrial prototype; linear beam), and we have recently developed the broad beam source HEXAR-7 (circular beam). For the moment we consider sources with several tens of cavities as feasible. This brings us up to the meter range in terms of beam size. Contact us if this is of interest to you. 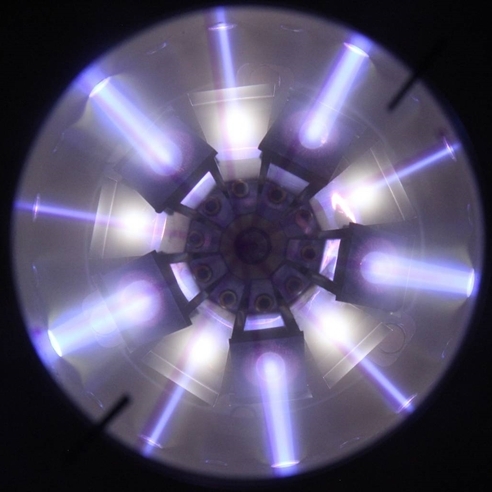 The small size of the plasma cavities enables the possibility to place multiple of them rather freely inside a vacuum system. This opens possibilities for example for 3D surface processing, with multiple beams under different angles. 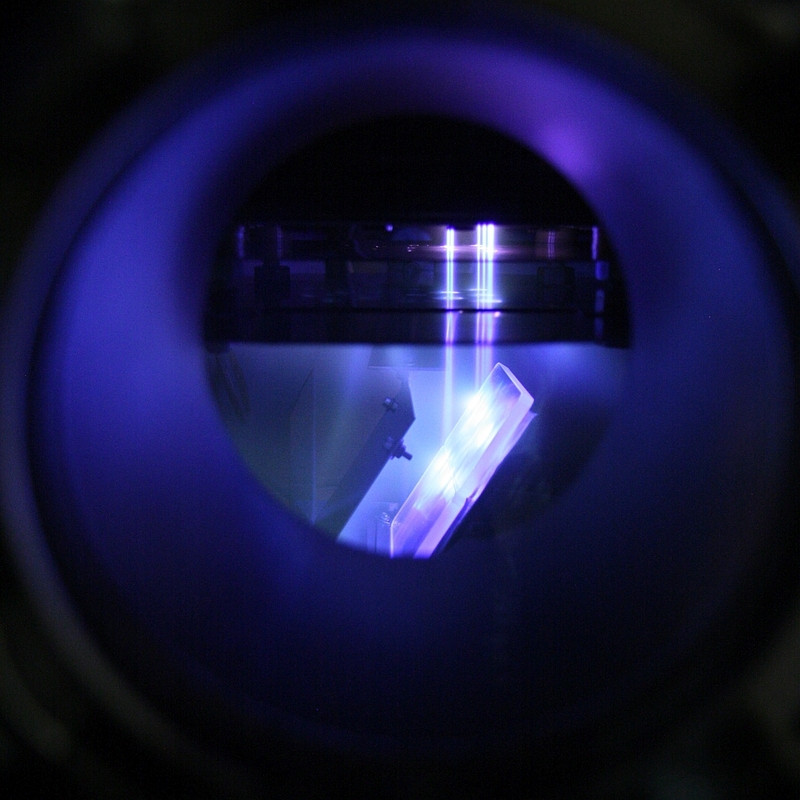 It also enables batch processing of multiple samples at the time without beam overspill, and has enabled the development of a new thin film deposition method based on multi beam sputtering. Where a geometry with a circular array of sources is adapted to circular samples (conical target base), a linear geometry with a line (or multiple lines) of sources and a rectangular sputter target is more suitable for rectangular samples and roll-to-roll applications. 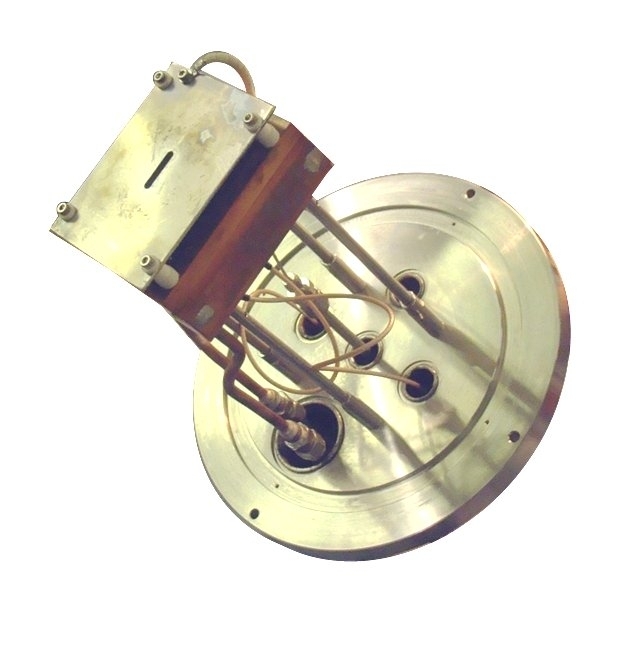 Another possibility is top-bottom deposition using two opposing linear sputter deposition modules (beam plus target) which can be useful for coating both sides at once. 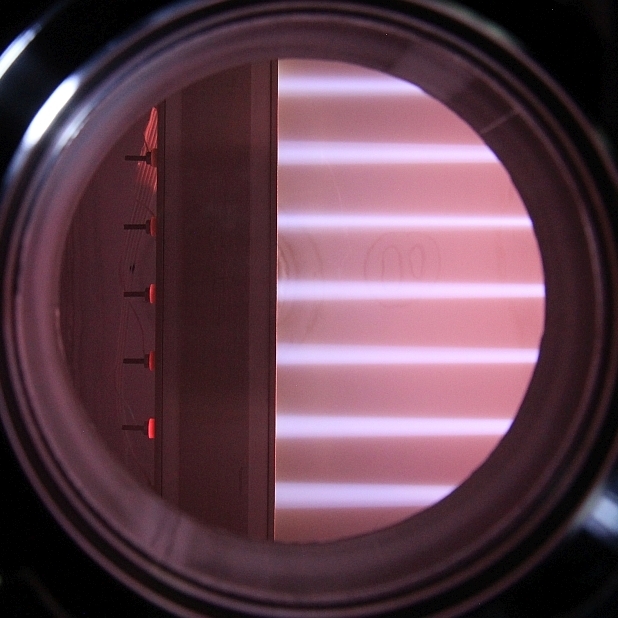 A special case is thin film deposition on the interior of tubes. With our technology we can coat the tubes from the inside, simply by adapting beam and target to the tube diameter. Ask us for the possibilities. The concept of little building bricks makes our technology very suitable to retrofitting existing systems. It is for example possible to replace the interior of a Bernas (Freeman) type ion source for ion implantation by an ECR ion source of exactly the same geometry. 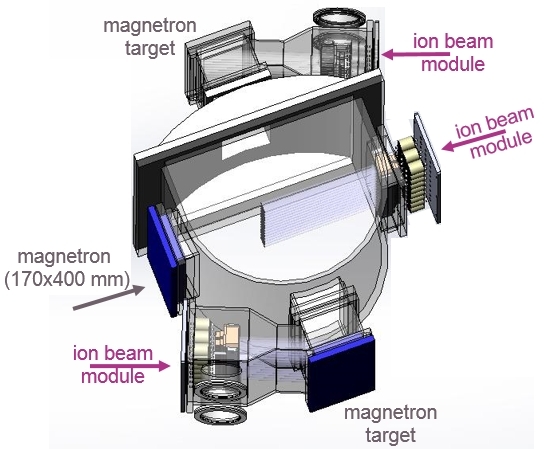 It is also possible to replace a magnetron sputter module by a multi beam sputter module of the same dimensions, or on for example a carrousel type system, to replace a magnetron module by an ion beam module for assistance, sputter cleaning, nanostructuring, or implantation. Contact us to find out if we can refurbish or upgrade your system to your liking.